Frank Fischöder, the Head Coach of Jungadler Mannheim, and Michael Ullmann, the Mental Coach of Junagadler Mannheim, have long-term experience with SportMind diagnostics. Frank is talking about SportMind in the video below. The mental coach Michael Ullmann is using the SportMind Instrument not only with Jungadler Mannheim but for another professional team in 1st German Ice-hockey League, too. Michael, how often do you use SportMind? We have been using SporMind on a weekly basis for two years now. Plus we use it in particular cases. This can be when a player is injured or shows up with the unusual situation in life. Do you think it benefits your teams? Absolutely I do. We get easily and regularly into dialogue with the players. So, mental fitness becomes an entire part of the player’s focus, and they learn how to stir their performance. They learn that mental fitness is as important as body fitness, technique, and tactics. So, mental fitness becomes a habit which helps us to perform on a high and constant level during the season. We can easily check if our interventions work and if the player is improving. We can show self-efficacy to the player: when I do this or that, that will create something positive. I learn about myself and to stir my performance. What do you see as the app’s biggest advantage? The color word connection is brilliant! Easy to use – quick to use so we can do it often without boring the players. The results are displayed on a dashboard, so it is easy and comfortable to communicate and explain to the player. They understand quickly. I would absolutely recommend this app to other teams. This is a must! What do you see as the app’s most significant weakness? An instrument is a measurement tool. So, it gives you the current mental status of the player and how the status develops over time. (Which is a lot to have!!!!) The instrument does not give you the solution. But that is on the other hand not the intention of the instrument. So, you need in combination with the tool someone who is able to read the results and define interventions helping the player in his/her specific and individual situation. Well, it’s not really the weakness of the app, but you should be aware that just buying the software does not generate all the benefits that you can get with this instrument. 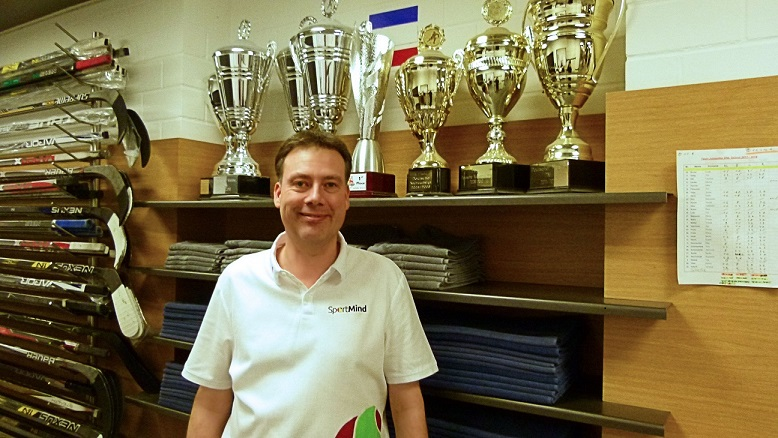 Frank Fischöder, the head coach of Jungadler Mannheim talking about using SportMind. Click on the picture to play the video.